You were informed by iGadgetsworld earlier this month about the official file manager from Microsoft Corporation called Files. 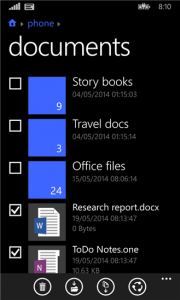 Joe Belfiore informed us about the official file manager earlier this month in his AMA via Reddit. You can read our previous article about that AMA here . Now its the end of May and as promised by Microsoft, the Official File manager called Files is now available to download from store . Download it here . Unfortunately windows phone 8 is not too flexible for that file manager therefore Files is only available for windows phone 8.1 users . So if you want to use this file manager by Microsoft then you need to upgrade your windows phone 8 device to windows phone 8.1 dev preview. 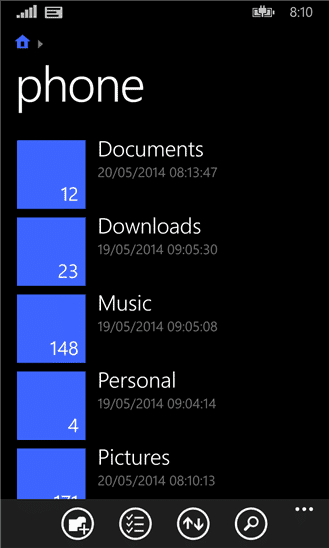 If you need help installing windowsphone8.1, see our tutorial on it here . 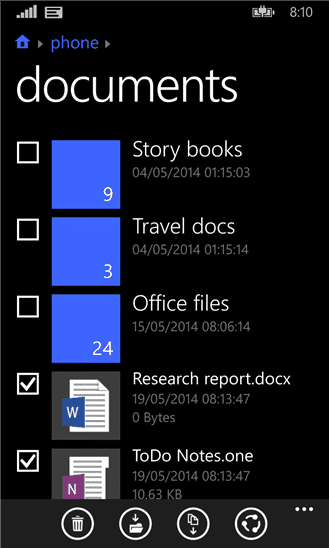 The Files app allows you to access all the files stored on your phone. 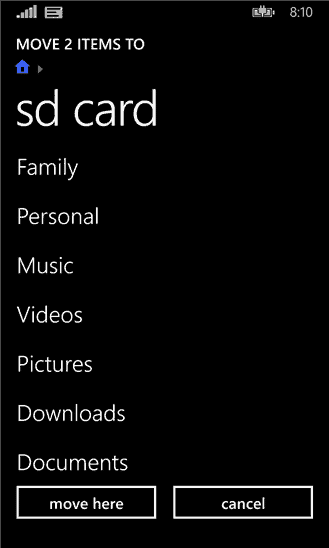 If your phone supports expandable memory with an SD card, like the Lumia 520, you can use the Files app to access files on the SD card as well. 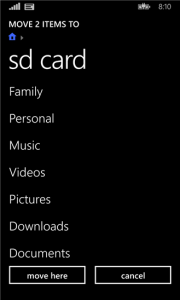 You can browse through files and folders, open and search for files that are on the phone or on SD card storage. You can create new folders and arrange your files across those folders using move and copy functions and you can also rename and delete your files. You also have the ability to share many files at a time on your phone. 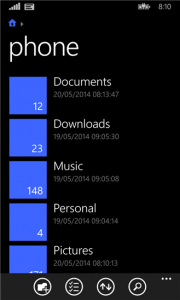 Previous articleBBM for Windows phone coming soon (June)!